Food, drinks and coffee are available onsite at the Nepean Sportsplex canteen or bring your own. Sign up to the Parenting Times newsletter @ www.OttawaParentingTimes.ca to receive expo updates. WE ARE OTTAWA’S MOST POPULAR PARENTING & KIDS EXPO! SAVE TIME & MONEY ON ADMISSION BY PURCHASING AN ALL DAY FAMILY PASS! A FUN, INFORMATIVE & AFFORDABLE WEEKEND FOR THE WHOLE FAMILY APRIL 13 & 14 @ NEPEAN SPORTSPLEX! 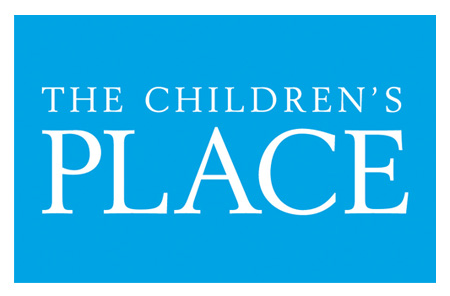 Saturday, April 13, 2019 from 10 a.m. to 5 p.m.
Sunday, April 14, 2019 from 10 a.m. to 5 p.m.
Ottawa Parenting Times Magazine is thrilled to present the annual Ottawa Parent & Child Expo for Ottawa area families. On April 13 & 14, 2019, gather the kids and head to the family-friendly Nepean Sportsplex (use Entrance 4 at rear parking lot) for a weekend of family fun and information. Parents will find 125 of their favourite Ottawa-area exhibitors offering important parenting information, and kids will find main stage presentations (in English and in French each day) with Thomas the Tank Engine, Special Guests (to be announced shortly) “meet & greets,” with their favourite princess characters. Onstage musical performances, bounce castles, friendly-mascots to hug, an Animal Discovery Zone, main stage presentations, Little Ray’s Reptiles onstage, and a variety of other activities that focus on fun, learning, being healthy & active. Check the full timetable on the Expo website (posted February 14, 2019) for all other times and details. The fun includes: demonstrations and Try-It Zones, play, learn, discovery, and “meet & greet” zones, face-painting, arts & crafts activities, an Usborne Books reading corner, demos and much more. It’s an exciting family event where you and your children can play, learn, and explore – and it’s affordable! FREE PARKING! Enjoy your visit to the Ottawa Parent and Child Expo with free parking and a free show bag for the first 750 families each day! More information about tickets or to exhibit e-mail Peter Ausland @ peter@OttawaParentingTimes.ca or call 613-656-3430. Thank you. Take the Woodroffe exit and turn south. Proceed south about 3 km. The Sportsplex is just past West Hunt Club Rd. intersection on the left (east side). From Highway 416 (heading north from Hwy 401) Exit at West Hunt Club Rd. At the stop sign turn right onto Cedarview Rd. (south). Take the first left turn (east) onto West Hunt Club. Proceed east to Woodroffe Ave., turn right (south), the Sportsplex is immediately on the left (east side). Visit OC Transpo for schedule information.